Our benefice of eleven parishes in beautiful, rural, north east Suffolk seeks two House For Duty Priests who will work together in leading our church family into the future. Be a biblical shepherd who will inspire and invigorate church members. Maintain existing links and continue work with Headteachers of all local schools to help develop ministry amongst young people and children, and particularly to build on the opportunities provided by schools. Be willing to contribute to community life in all the villages of the benefice. Willingness to engage with the Diocesan vision of Growing in God. We will support you with a dedicated and hard working church family. We hope you will join us and love us, as we are ready to do for you. The Benefice of The Saints, created in 1992, is located in the attractive Waveney Valley in very rural north east Suffolk, in a triangle bounded by the Norfolk town of Harleston and the Suffolk towns of Bungay and Halesworth. It contains eleven parishes: Ilketshall St John, Ilketshall St Lawrence, Ilketshall St Margaret, St Peter South Elmham, St Michael South Elmham, St Margaret South Elmham, St James South Elmham, St Cross South Elmham, Rumburgh with All Saints South Elmham and St Nicholas South Elmham, Homersfield and Flixton. 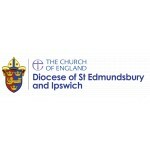 It forms part of the Waveney and Blyth Deanery in the Diocese of St Edmundsbury and Ipswich. The Benefice embraces beautiful undulating countryside, mainly arable. There is some pasture and areas of woodland.